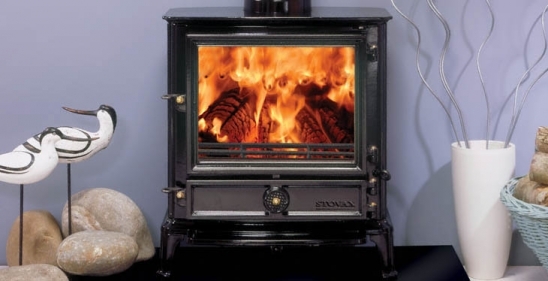 The largest stove in the Brunel range, the Brunel 3CB traditional stove, has a large glass window giving an excellent view of the swirling flames of the Stovax Cleanburn system. This multi fuel stove incorporates all of Stovax’s state of the art technical features such as the stainless steel heat exchanger. The stainless steel warms up more quickly than traditional cast iron, so begins heating the room faster. With full multi fuel, wood burning capability and external riddling, the Brunel 3CB stove generates up to 7kW of heat for you to enjoy.